Oh hey, remember when I was making all those posts anticipating this split a while ago? Well, finally, here are some MP3s of the Melvins / Isis split 12" that was released on Hydra Head recently. 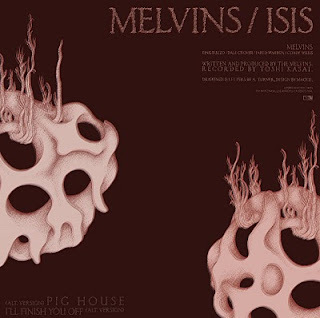 As you may know, Isis are no more so take advantage of this (and some alternate tracks from the newest Melvins release!) while you can. DL: "Melvins / Isis Split"